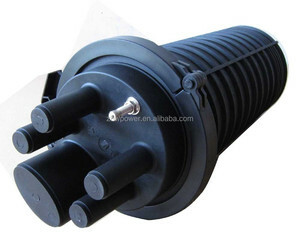 Waterproof Dome Fiber Optical Splice Closure The metal joint box are applicable for connection protection of special optical cables,with the functions of direct and branch connection, with the maximum of 6 optical cables, which mainly for overhead rods and towers. capacity of optical cable &le; 144 piece Anti side pressure &ge; 2000N Weight 6.2kg The metal joint box are mainly for overhead rods and towers. 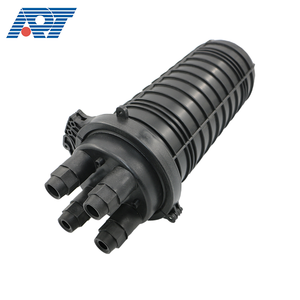 Our main product including ADSS OPGW accessories(Performed Tension Clamp, Preformed Suspension Clamp,Vibration Damper, Cable Joint Box, Down Lead Clamp) and so on. &#9679; The single seal slides easily into the closure's base for rapid, secure installation. 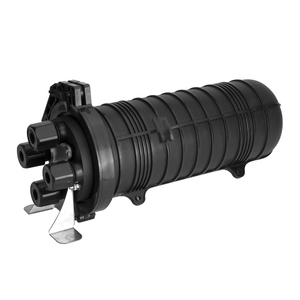 This fiber optic splice closure is designed for two cables in each of its two ports. This step involves splicing holder placing, fiber splicing and fastening the splice holder lid. 2, The FOSC is suitable for protecting fiber cable splices in straight-through and branching. 3, Good capability of corrosion resistance, anti-aging, anti-UV, fire resistant, impact resistant. 4, prevent condensation inside box, waterproof, quakeproof, while protecting splice closure during pulling. Feature: The design receives creatively practical patents and keep the box under sustainable seal performance in regular operations. To meet these, Fiberey has worked hard to streamline our resources and production. It drives us to behave honestly and keep our promises, ultimately winning our customers' trust and respect. 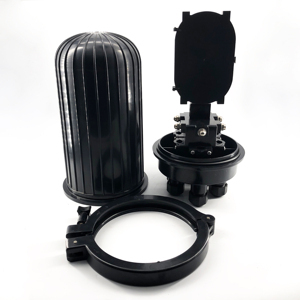 Telecom cable optical fiber joint closure Dome Mechanical Seal Fiber Optic Splice Closure box FOSC-8004B 1.Product Introduction Optic fiber clousure is applied in the junction and protecting of the fiber. It can be place with the aerial cable or buried in earth or put in the pipeline. The outer part and the fusing part of the clousure are made of the project plastic with the virtue. The closure has five entrance ports on the end (four round ports and one oval port). The shell and the base are sealed by pressing the silicone rubber with clamp allocated. The closures can be opened again after be sealed, reused again without changing the sealing material. Can installed 2-1:8,1-1:16 Blockless or Module PLC Splitter. We ship small batched by air, or large orders by container. If any problems happen ,our team will do our best to solve for customers. 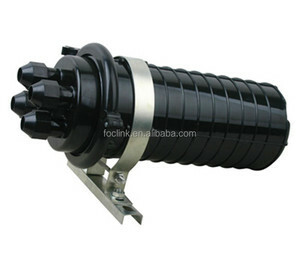 Alibaba.com offers 3,079 dome fiber optic splice closure products. About 95% of these are fiber optic equipment, 1% are other telecommunications products. A wide variety of dome fiber optic splice closure options are available to you, such as free samples, paid samples. There are 3,085 dome fiber optic splice closure suppliers, mainly located in Asia. The top supplying countries are China (Mainland), South Korea, and India, which supply 99%, 1%, and 1% of dome fiber optic splice closure respectively. Dome fiber optic splice closure products are most popular in South America, North America, and Eastern Europe. You can ensure product safety by selecting from certified suppliers, including 1,243 with ISO9001, 220 with ISO14001, and 161 with OHSAS18001 certification.